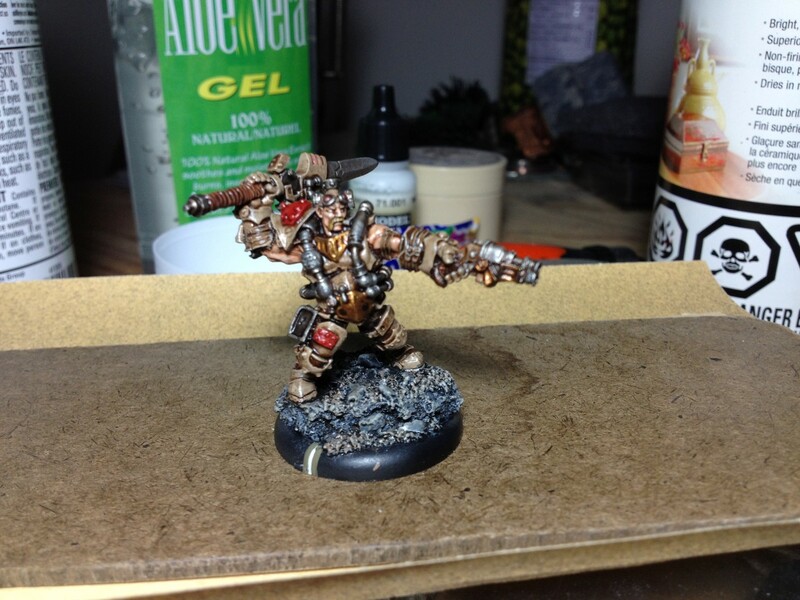 Paintectorate of Menoth – Warcasters, Ho! Having finished basing my Judicator, it’s time to move on to my next project… all the warcasters I own for the Protectorate but have no yet painted. There’s only 4 of those, so I threw in the Journeyman Warcaster (Tristan Durant) as well, just to give me the same number as I worked on last time. From left to right: Tristan, Thyra, Reznik, Vindictus, and eKreoss. I am super excited to get all of them on the table, which means I’d really like to have them all finished in the next 2 weeks or so. The trouble (as always) is trying to decide what colours go where! 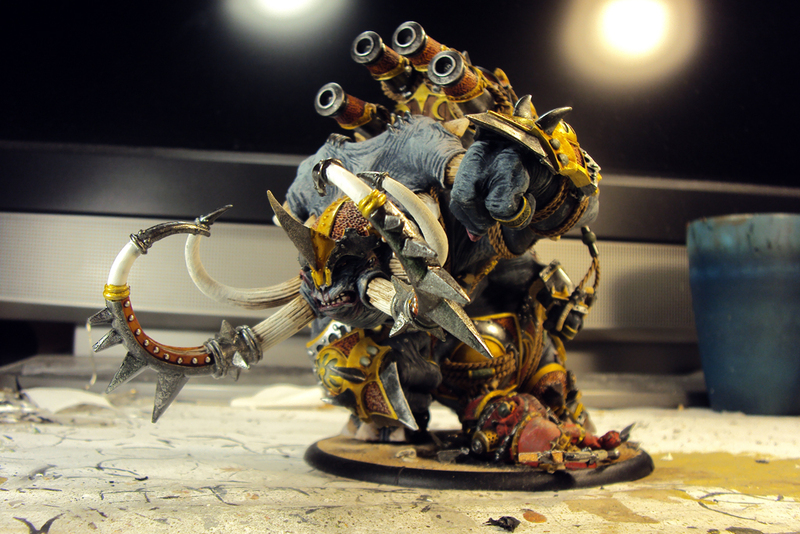 Painting for Hire – Rocinante and MACBAIN!!!! 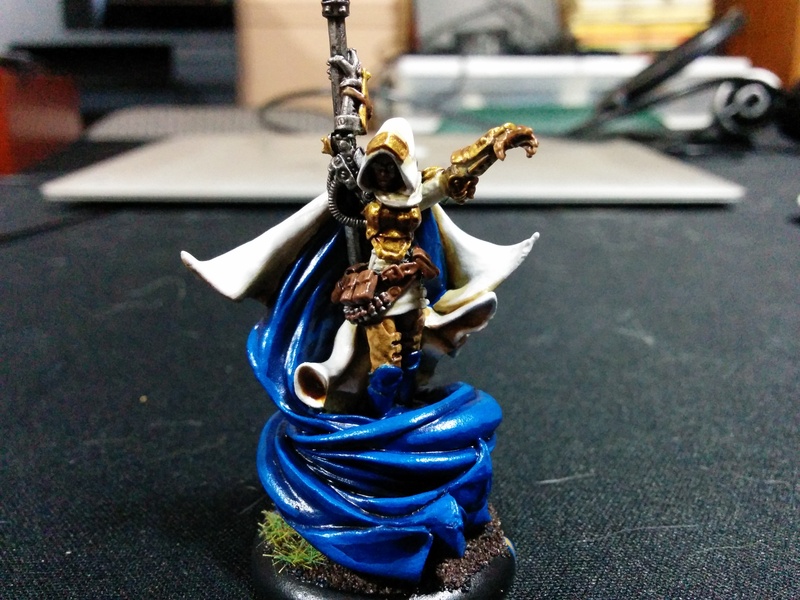 Paintectorate of Menoth – Warcasters and Solos, Oh My! Having “finished” my Judicator (the air-quotes required due to the fact that she’s not based, but I hope to get that done tomorrow), I’m now on to smaller, faster things. And of the swarms of models I have yet to paint, I figured my warcasters should take priority… I may not always use a unit of Knight Exemplar, but I will always use a warcaster! 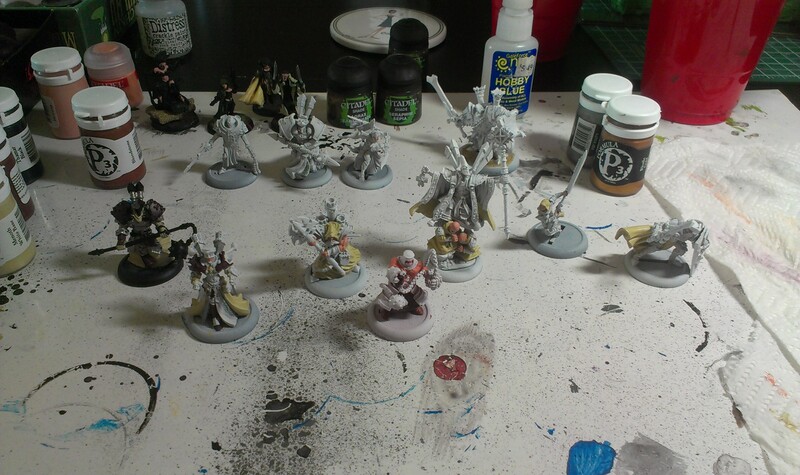 As a result, I assembled, primed, and put on the painting table every Menoth warcaster I own that is not yet painted. Here we can see the whole lot of ’em… starting from the back left: Vindictus, Kreoss2, Thyra, Reznik, and then in the front row, Kreoss1, pFeora, the High Reclaimer, Amon Ad-Raza, eSeverius… and then Nicia and the last Paladin of the Wall sculpt (giving me all 3).